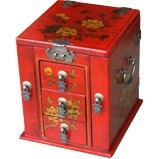 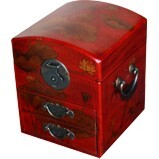 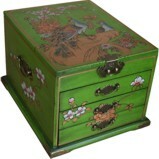 Mirrored jewellery boxes made of wood and leather, using old traditional Chinese techniques, with hidden mirror perfect for cosmetics and storage of jewellery. 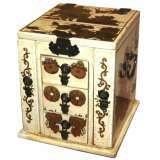 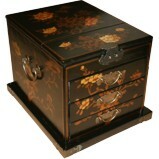 The leather is wrapped around the wood and bound tightly so that the skin is smooth and perfectly formed to the piece. 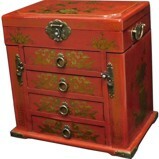 Stylish brass fixtures and handles complete the exterior. 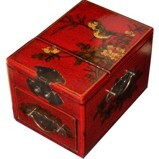 Inside the boxes are lined with aged Chinese paper filled with characters, adding to the authenticity and feel of the products. 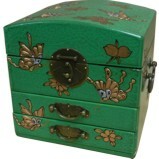 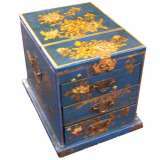 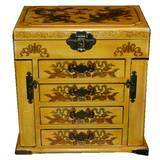 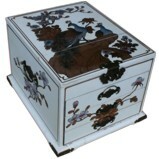 In addition, the lids , front and sides of most of boxes are painted with beautiful and traditional Chinese paintings of golden Butterflies, birds flying beyond flowers, or golden dragonflies flying beyond lotus. 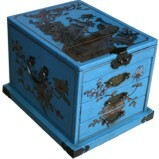 In Chinese culture, these represent luck and happiness. 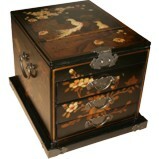 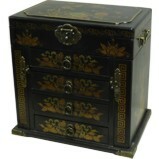 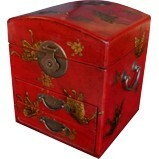 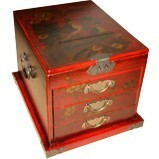 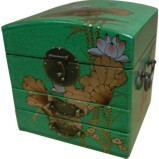 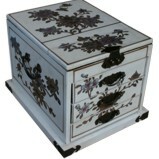 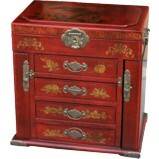 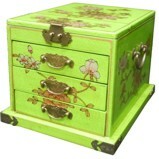 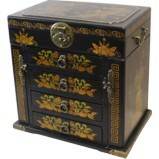 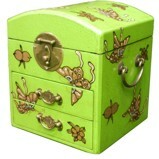 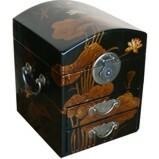 Also, lacquer had put on to protect the paintings and the whole box.